The lower total cost of ownership, agility, and resiliency for ERP management in the cloud has made it the new standard for SAP deployments. But the complexity of migrating can make you lose track of the impact, timeline, and costs. CrystalBridge, our proprietary software, acts as your SAP landscape command center, allowing you to simulate the impact of a planned cloud migration and conduct the cloud transformation while maintaining full control. 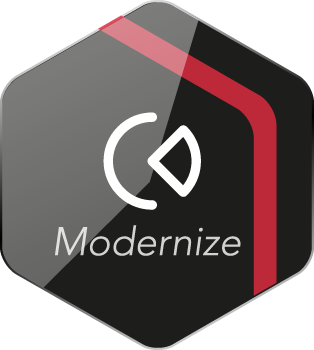 Whether you’re moving SAP to Azure, AWS, or another cloud option — and upgrading your SAP version at the same time or migrating your OS/DB as part of your project — the SNP transformation platform minimizes the risk of unexpected variances across multiple go-live tests and during the go-live. SAP systems contain a variety of mission-critical business processes — including finance, human capital management, asset management, sales, and procurement. SNP standard transformation software minimizes disruption across these processes by allowing your migration to take place with near-zero downtime. How does it work? 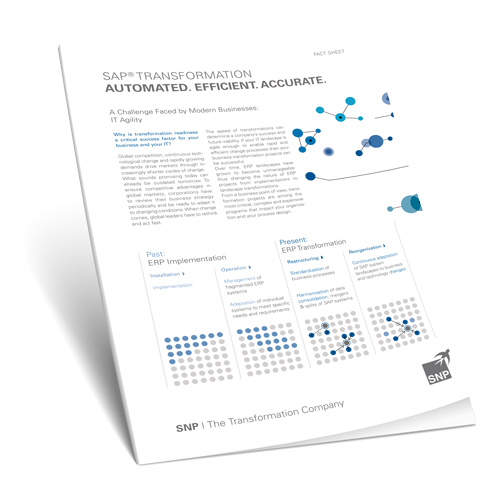 Our transformation software replaces complex, time-consuming standard transformation processes with one tool and fewer steps. It renders traditional migration methods obsolete, executing previously sequential steps in parallel. This means that tasks like system configuration are completed before the cutover downtime begins, reducing the total downtime needed. In one project, we successfully migrated 14 TB of data to the cloud with under eight hours of downtime. SAP applications and databases are mission critical and demand round-the-clock availability, but traditional upgrades and migrations often require prolonged downtime. Even an extra hour or two of downtime may dramatically reduce an organization’s productivity. Thankfully, there’s no SAP cloud migration scenario that our standard transformation software can't handle — so your migration to the cloud can occur with minimal business disruption. The SNP transformation platform is compatible with any SAP-supported database, any operating system, any architecture, and any SAP version. Whether you need to migrate SAP ERP, BW, CRM, SCM, or SRM to the cloud, you can achieve near-zero downtime with SNP. The SNP transformation platform transfers records in small packet sizes, limiting the impact on your network. Our software even works with 100 Mbps connections. Download our white paper to learn more. Moving to the cloud is a high priority for CIOs who want out of the data center and are moving to specialized providers like Amazon Web Services (AWS). But did you know that a you can execute your SAP cloud migration as part of holistic landscape transformation in just one step? 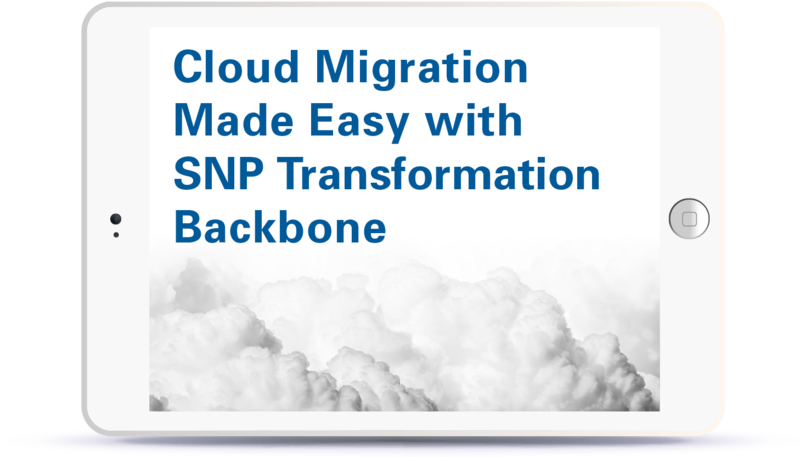 The SNP transformation platform combines multiple projects into one: cloud migrations, migrations to SAP S/4HANA, database upgrades, and more. By collapsing multiple transformation projects into only one testing phase, one test environment, and a single go-live, organizations can save up to 30% on their SAP transformation project costs while reducing project timelines. Leading companies are building roadmaps to modernize SAP landscapes and migrate them to AWS in one step. Watch this webinar on-demand to learn more. 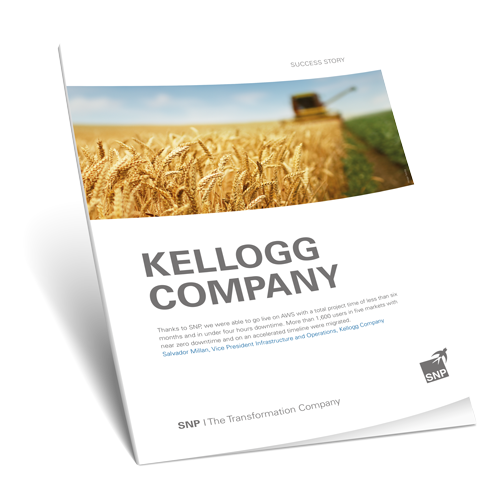 The Kellogg Company chose Amazon Web Services (AWS) to host its global SAP landscape. To overcome its migration challenges, the company engaged SNP to assist with its SAP upgrade and migration. Learn how Kellogg's was able to go live on AWS with under four hours of downtime in this SNP success story.